Happy Holidays! 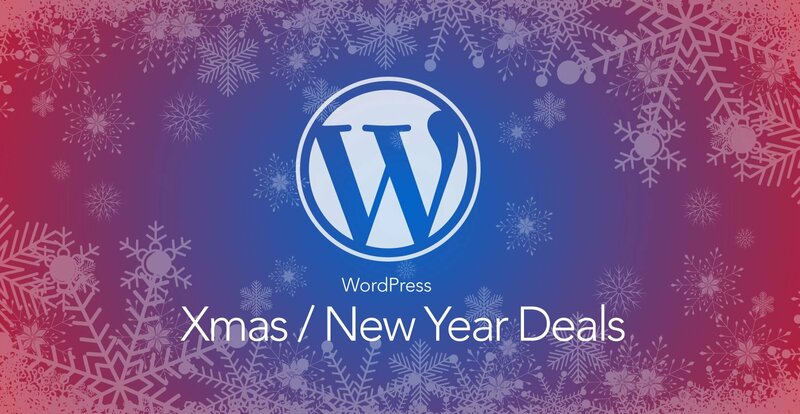 While you are busy preparing for the Holiday season, don’f forget to fulfill your WordPress wishlist! Take advantage of the offers we have collected below and start off 2018 with some new WordPress Themes, Plugins and Hosting! WordPress themes sale! Check out these theme shops that offer awesome discounts! Christmas Sale – FLAT 40% OFF on everything! Christmas is just around the corner. It’s the most wonderful time of the year! Start promoting this exclusive Christmas deal featuring 20% OFF all CyberChimps’ Themes and Plugins. Valid until January 15th 2018(Midnight – Eastern Standard Time). If you’re interested in snapping up a festive deal, be quick! These offers will only be around until the 7th January. 2018 is coming, we’re glad to let you know that HappyThemes has a 75% sale this month on all our theme memberships. Download 17+ WordPress Themes Package Now! This means you can get the All Themes Package of 17+ premium WordPress themes for $12.25, or Lifetime Access to everything for $24.5. This sale is the best offer ever, so now’s your chance to get everything at HappyThemes for a great price! Save 25% off your first payment with WP Engine! *Pro tip* This discount is applied in addition to the 2 months free already provided with any annual subscription! Users can get a total of 4 and a half months free when they pre-pay for the first year! Dates: Sunday, December 24, 2017 through Sunday, December 31, 2017. 20% OFF on 6 Invoices, all plans and cloud providers.